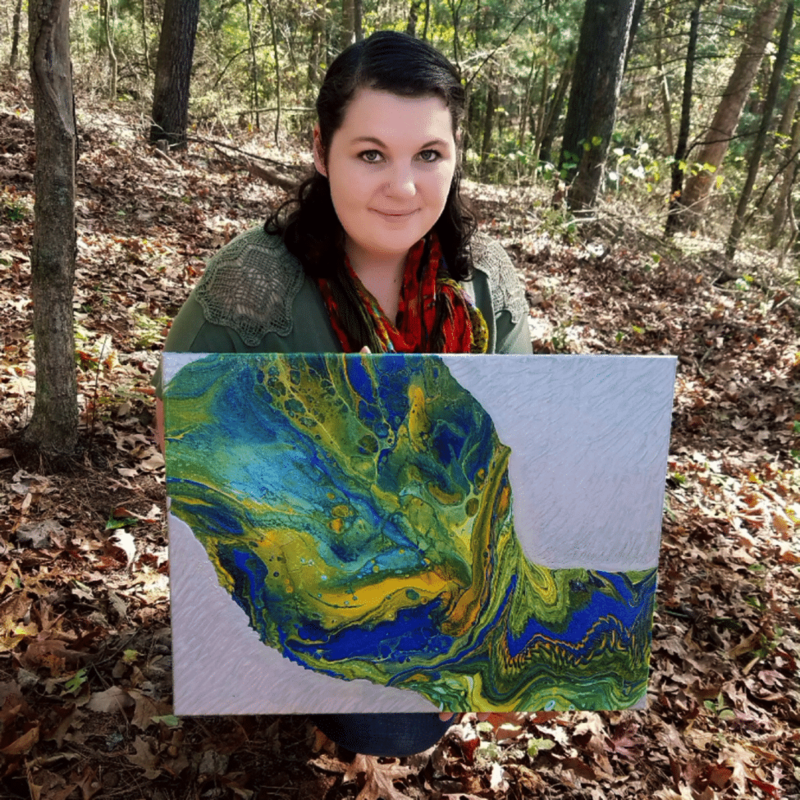 I created this video to give you some insight into producing a pour painting that will give you brilliant color instead of a muddy mess. Pouring paint as an artist may seem very easy to the untrained eye, although after trying this process for a while, I failed miserably many times. I began to think about the process more and more to perfect cell work and avoid muddy colors. The keys to avoiding any muddy colors has many different factors connected to it. I will go over three main parts to further explain these factors. 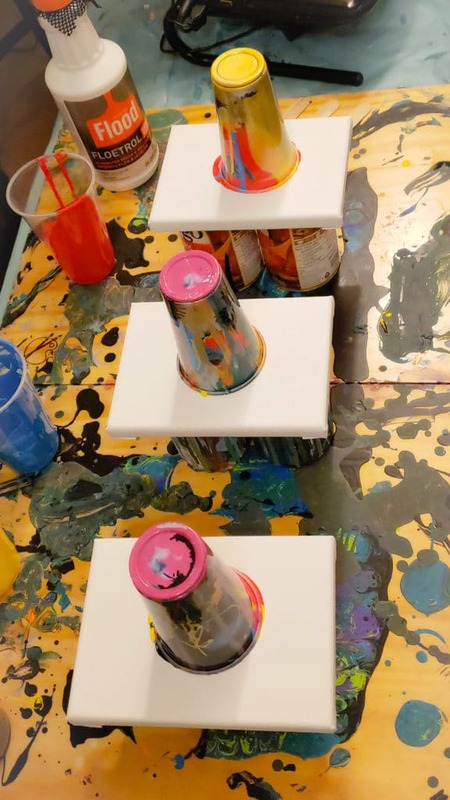 In this video I have done three separate dirt flip cup pours, and added some leftover paint to produce better effects within the painting due to being unhappy with the flow of the flip cup. I’m a busy person, so that’s how I like my art. It is a good reflection of my mind! Outlining factors of the muddy color issue in acrylic pouring is the first step to creating more beautiful pours. First thing’s first, let’s take a look at paint density. When creating a layered cup of extended paint, you should consider how heavy the color is that you are applying on top of another color. 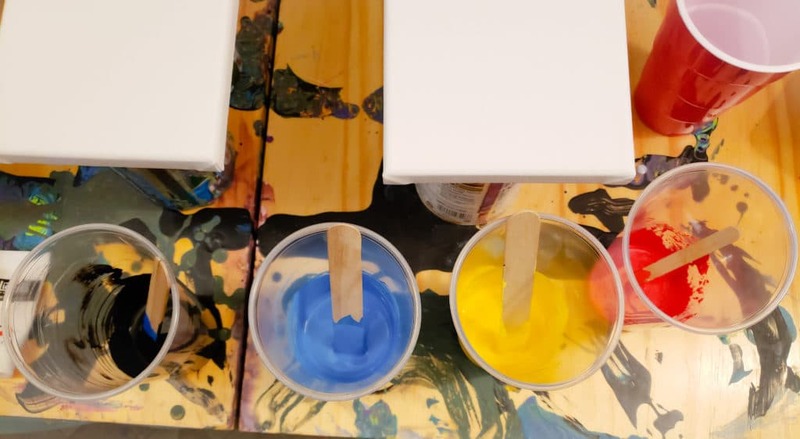 If you are applying color such as titanium white on top of an array of colors, the white will always sink to the bottom and can cause some adverse effects, thus creating muddy colors. Check out this helpful density chart from Golden Paints. If you have not invested in a color wheel yet, please do. I have been working off of a color wheel since a very young age. Colors mixed together can always create another. When you have a mix of the wrong colors side by side, it can go terribly wrong and create the undesired effect of muddy colors. Take a look at your color wheel and break down some good combinations and experiment with them. Different brands of paint will also give different shades due to differences in pigments and ingredients. I recommend trying to stick with one brand of paint at a time and focus your mixing with those paints, once that paint has been mastered, give another brand a go. It is easier to experiment with a control, which would be the paint brand. Lifehacker has a great article for beginners with color theory I encourage you to check out as well. The consistency of your paints can also play a role in color mixing badly. 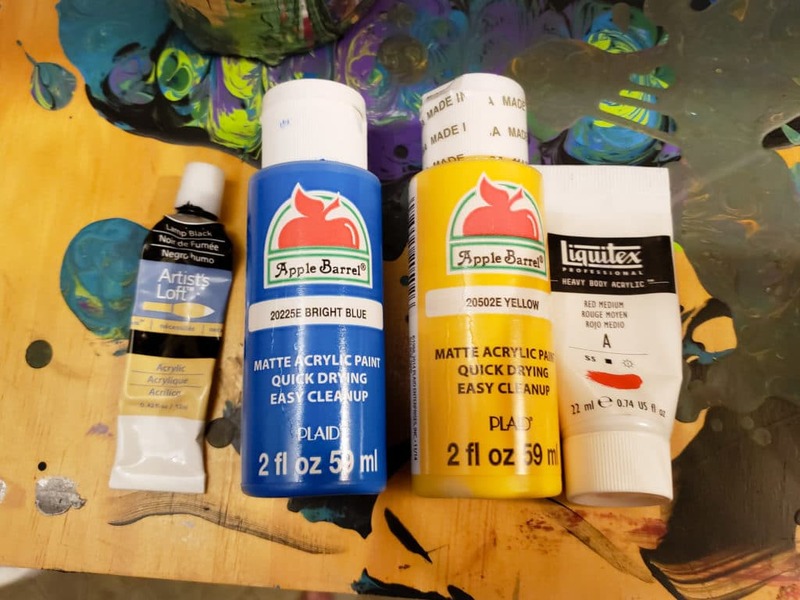 If you add extender to your paint and it gets past the warm honey consistency, you may run into issues with your paint mixing and not producing cells. This issue is defiantly a trial and error when it comes to a new pourer. Do not be too scared to mess around with consistency but do not over do it with pouring medium. Then again, maybe over do it, then get back to me. Maybe you will have some new results!